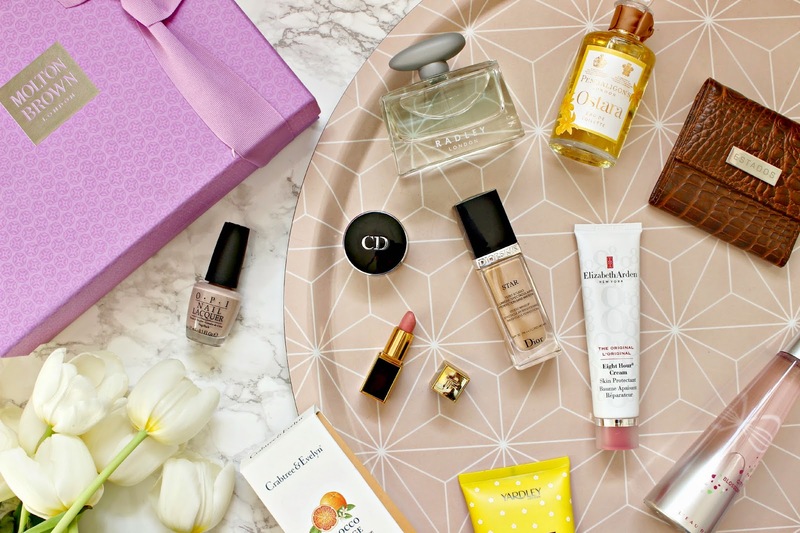 Whether you get to spend Mother’s Day with your mum, or if you’ll be popping a thoughtful gift in a post, here are some ideas for gifts that mum will love! The new OPI spring shades are so beautiful, and soft tones which Mum will absolutely love. She always used to pinch my Dulche de Leche, but this year OPI have bought out Do You Take Lei Away? A dusky pink shade which is incredibly flattering and easy to wear. The Christian Dior Diorshow Fusion Mono Long-Wear Matte eyeshadow in Mirage is a lovely gift as it’s a little luxury which Mum may not splash out on herself. It is very easy to use and provides long lasting, very flattering shadow. Plus, it’s a nice reason for you both to give each other mini-makeovers as you try it out! Tom Ford have bought out a collection of adorable mini lipsticks which Mum will love for popping in her handbag! 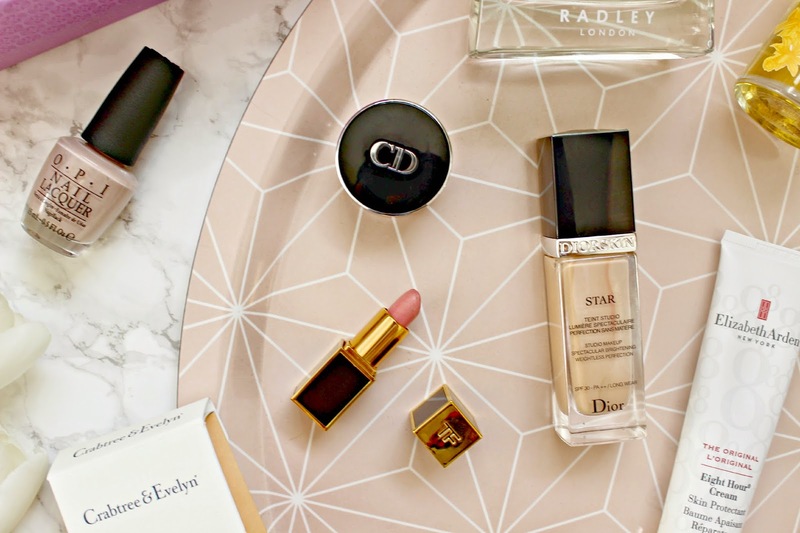 Their lipsticks are the most luxurious formula I’ve tried in a long while – nothing but the best for Mum! I think she will love the shade Spanish Pink – a delicate pink which isn’t too girly, but still very flattering. Another luxury product that Mum may not want to splurge on herself is the DiorSkin Forever – Flawless Perfection Fusion Wear foundation. The formula is light but buildable, and the fluid bursts with made to measure skin loving ingredients which melt into the skin to give you a smooth and flawless complexion that you don’t need to top up as the day goes on. 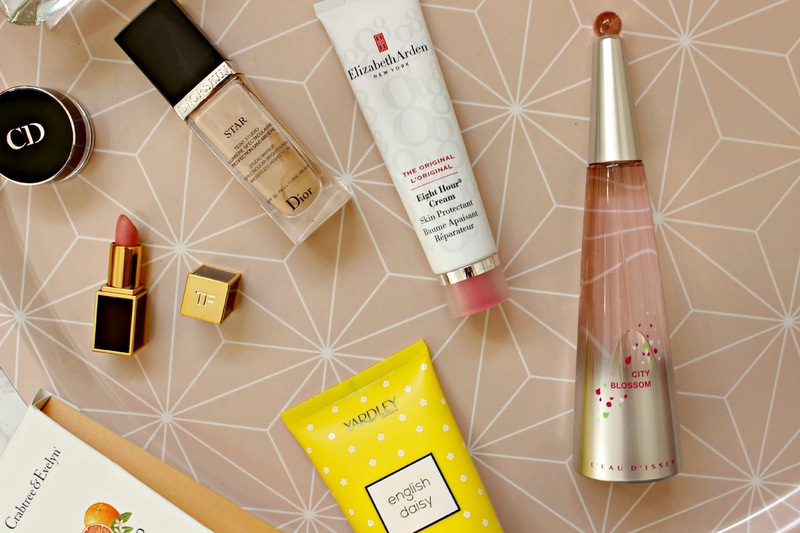 I couldn’t do a Mother’s Day gift guide without mentioning the Elizabeth Arden 8 Hour Cream! If you’re Mum hasn’t tried this then watch out, as she will be hooked! Since introducing my Mum, my Boyfriend’s Mum, and Boyfriend’s Auntie to the cream last Christmas they are all now totally obsessed! It soothes, restores and nourishes skin on your face, lips… everywhere that needs some extra care. 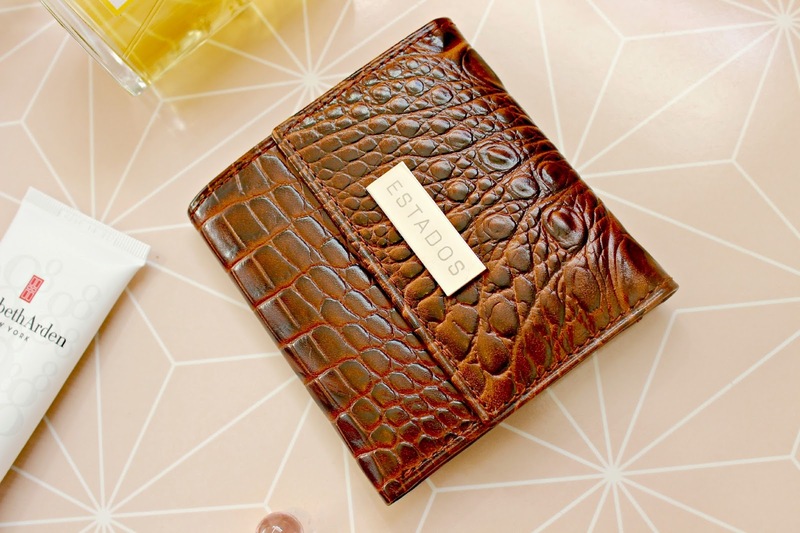 Especially perfect if you’re posting a gift to your Mum is this luxurious leather purse from Estados. I stumbled upon this brand on Twitter and fell in love with the exquisite craftsmanship and design of their leather goods. This Croc purse has a vibrant pink lining and is perfect for using within a clutch, or when mum is travelling. It contains 6 card slots, 2 slickest and a full length notes pocket as well as a zip up coin purse. Made from sumptuous Argentine cow hide with a silk lining, this little luxury is something Mum will treasure. You can’t go wrong with perfume! Radley have created a fragrance which is destined to be a timeless classic. When I first experienced the scent I could imagine mum wearing it as her favourite perfume for every day use. It’s very fresh with notes of Freesia, Bergamot and Pink Peony which are muted with Rose and Tiare flower. Mum will also love the warm notes of Frankincense, Oud and Myrrh. There’s a matching body wash and lotion too if you wanted to really splash out! Ostara, the new fragrance from Penhaligon’s is one which I’ve been eagerly awaiting since the preview at Sketch in London last year. The luxurious fragrance is a long lasting floral creation which is a modern interpretation of the delicate daffodil flower. One spritz releases a burst of Juniper, Violet leaf and Spearmint – it is quite a powerful scent so if you can, visit a store to try it out first. The Penhaligons at The Royal Exchange has a stunning display dedicated to Ostara – see more in my post about the REX here! 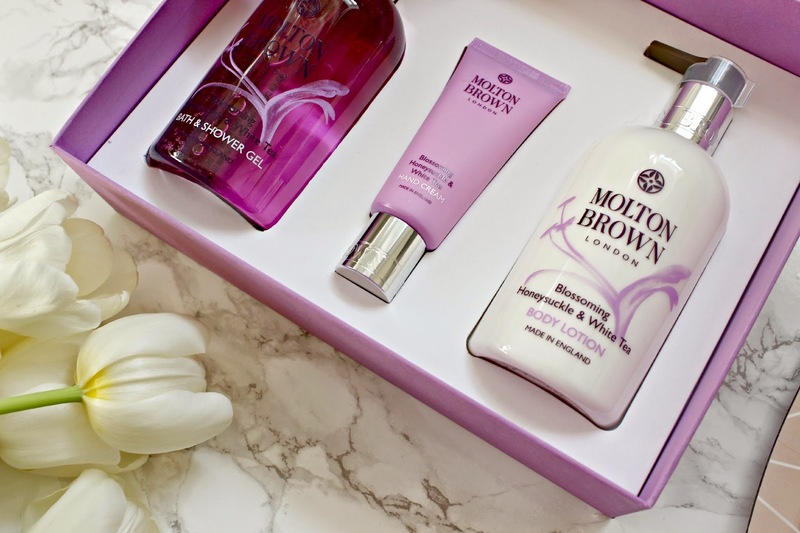 I mentioned in my Day Out to Royal Exchange that I always treat Mum to some Molton Brown for Mother’s Day, and this year they have bought out this fabulous Blossoming Honeysuckle & White Tea gift set containing a Body Lotion, Hand Lotion and Bath and Shower Gel – the ultimate luxury pamper set for Mum to enjoy some well earned relaxation time! A tube of hand cream from Crabtree & Evelyn is something Mum will get lots of use from; this little tube has a gorgeous fresh scent and is the ideal size for popping in her handbag. It’s ultra moisturising so ideal if your Mum suffers from dry hands. Yardley is a brand which surprised me recently. They have totally rebranded and their products are seriously lovely! 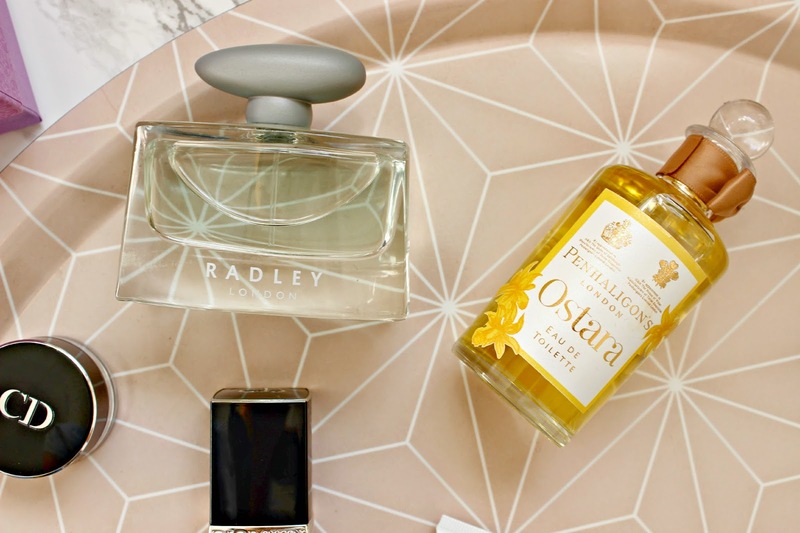 I especially love their new English Daisy range which I know Mum will love too – and although it looks like a premium brand with the new packaging, it retails for just £6.50! Finally, one more fragrance, and this one by Issey Miyake is a floral romantic scent which will be adored if your Mum likes sweet scents. With notes of Osmanthus, Freesia and Magnolia, there are also woody notes and white musk which make this a very wearable scent. If your Mum usually sticks to her classic fragrances, which not introduce her to a modern Ea De Parfum. What will you be treating your Mum to this Mother’s Day?